and Why His Hypnosis Mental Game Training Hypnosis Programs Can Help YOU Make 2019 The Year That YOU Play Your Sport As The MAXIMUM YOU! As seen in Muscle & Fitness, Iron man, Men's fitness, Golf tips, Golf Illustrated, LA Times & many other sports magazines. "Steppin Up To Mega Muscle & Power"
"Sports Peak Performance Mega Success Programming"
"Super Mental Toughness For Golf"
"Super Mental Toughness For Football, Baseball, Basketball"
"World Cup No B.S Super Mental Toughness For Hockey Players"
other sports hypnotherapy, athletic & mind training programs that will help you live the life in & out of the sports arena that you've been dreaming about. Especially if you're into self improvement, self growth, peak performance, bodybuilding, Olympic sports, golf, football, running, baseball, football, hockey,soccer, basketball or building self confidence, reducing stress or losing weight. just click here www.getinthezonesports.com & scroll over any of his book icons. Be sure to watch these sports hypnosis videos of Peter Siegel demonstrating sports hypnosis / hypnotherapy with pro & college football, hockey, body builders, baseball players & Olympic athletes. Notice The Incredible video that a TV news station did on Sports Hypnosis / Hypnotherapy with professional NHL Hockey Player from the LA Kings, Dean Kennedy. It's a demonstration of the mental game of Hockey with super high levels of self confidence, focus, mental toughness, If you're a hockey player you MUST get the super secret mental game training manual that I wrote for serious hockey players based on Peters training. For years this has been the site of Sports Hypnotherapist Peter Siegel & it still is. Only things are a bit different now. In the event you did not know the sad news, Peter passed away. 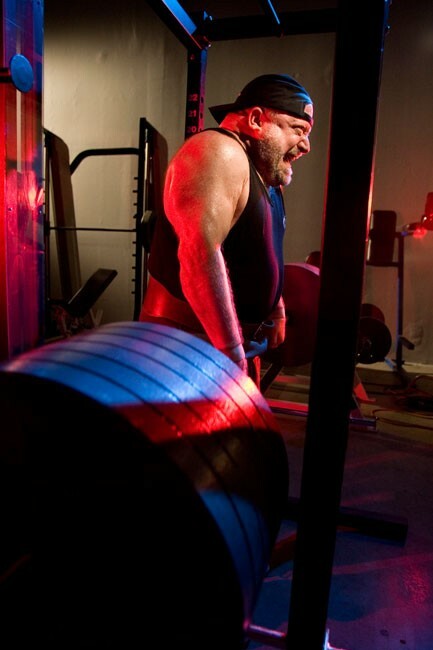 He was an amazing man & an incredible Sports Hypnotherapist who could leg press 1100 lbs at the age of 51. If you watch the sports report of the video you will see him demonstrating this. Watch this video of Peter Hypnotizing an entire football team. Pete Siegel also developed remarkable breakthroughs in the field of sports hypnotherapy and sports mental game peak performance. 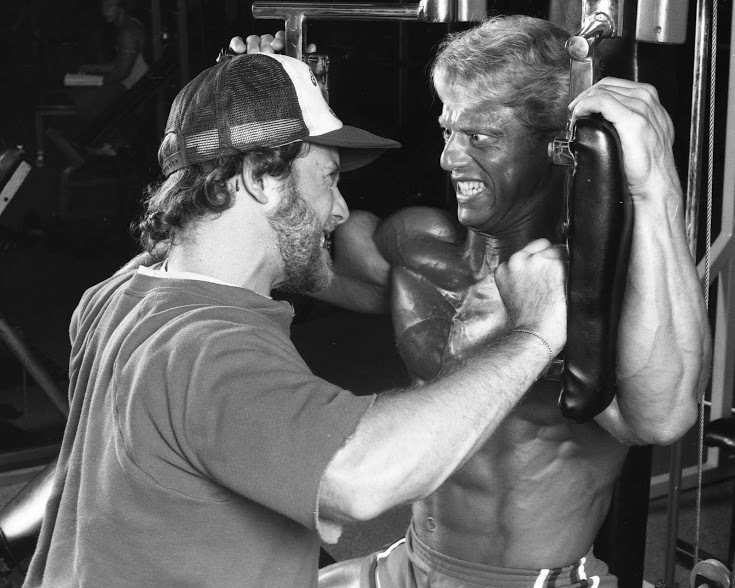 His work is profoundly visible in the results of his athletic clients who include professional bodybuilders, NFL football players, MLB baseball players, NBA basketball players, NHL hockey players, golfers, boxers & Olympic athletes. These champions all want the WINNING ADVANTAGE! I would compare his genius to Mozart, Einstein, Edison and Ben Franklin. Unfortunately even highly motivated gung-ho people don't get to live forever. Peter didn't get to, I won't get to & neither will you. That is why YOU owe it to yourself as an athlete to use your minds hidden power to supercharge your life & your sport, and be all that you can be and can get more life out of your years and live as the MAXIMUM YOU! Meanwhile please enjoy these sports hypnosis videos. They really show off the importance of the mind & the mental game of sports. Remember Hypnosis is BETTER THAN Steroids, HGH or any performance enhancing drugs. Plus hypnosis is LEGAL! The power of the subconscious mind is more powerful than drugs and always has been. Mental Power That Skyrockets Your Personal Success in and outside of sports. "Interested? You Will Upgrade Your Life In Ways You Never Imagined Possible! His Incredible Personal Improvement Guarantee. The truth is, experiencing mega personal growth and success really is a “secret” until you find the right system that works for you. And through my three decades, super high profile career, I’ve developed what is now a worldwide, proven hypnosis system which will provide clear and measurable self confidence, life accomplishment, and personal gain increases... for YOU! My NO “BS” reputation, and media substantiated experience (as you’re about to see) will now help you “take your life by the horns” so you start thinking, feeling, performing, and achieving at levels that will change your life…forever! provide you amazing personal increase!" Yes! And I back this up with a full 100% money back guarantee on every single one of my programs! And when you see each title, you’ll quickly know which program is exactly right for you to review and purchase. I know you’ll naturally be interested in the exciting selection of positive change titles you see — so feel free to review and purchase several of the programs you see are directly designed to help you meet your specific need in sports, business, in search for success, peak performance or in daily life. Winning At Life provides a power packed framework of step by step tools to use that will help you richly connect with people to enjoy a completely rewarding life. 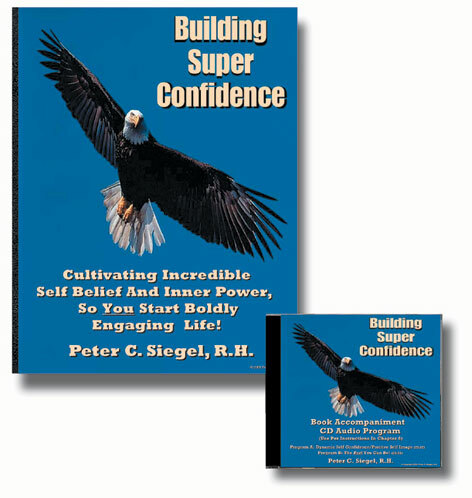 Pete Siegel's programs are a blueprint to help you develop commanding personal power to enrich your life. Use them and thrive! The Building Super Confidence and Success Mind Sets programs are incredible. Since using Pete Siegel's methods, my closing ratio has increased dramatically. I just had my best year by far. I attribute this to the specific techniques I have learned from Pete. These programs are a must for anyone serious about becoming tremendously effective and successful in business and in life. Are you still longing for the life of your DREAMS, where you can have all the joy, fulfillment and success that you desire? Or are you simply looking to be the very best you can, always? The remarkable Winning At Life program is the key. In this program you'll discover 26 easy-to-follow secrets to producing the life results you truly want, along with all the reinforcement you need to sustain them. Winning At Life gives you a rich and practical framework for making the concept ‘if you want to change your world, you must first change yourself’ richly work for your own behalf. Let me tell you, each powerful, information packed, EASY TO USE self hypnosis programs helps you eliminate your fears, helps you activate your true ability, helps you develop “mountain moving” self confidence and helps you achieve extraordinary personal success breakthroughs the kind that make life say a resounding yes, to YOU! And just imagine how awesome you’ll be when you finally have the key to gaining the mental power which creates this kind of standout success in life. Well now, you’re about to have it! Hey – this promise is not the empty, unsubstantiated “puffery” so many internet wanna-be’s throw at you. No. Check out my personal bio, extensive client list, and voluminous media appearances list, and you’ll see that I deliver big and keep delivering big for you! Whether you’re looking to build incredible self confidence, make more money, skyrocket your self esteem, become totally positive and emotionally strong, generate commanding peak performance (in sports, and in life), or transform your physical body – and your personal situation – into the embodiment of total, consummate success, the programs you’re about to review will help you notably achieve these conditions... yes -- Guaranteed! To climb the success ladder ever higher, you must get the most and best out of yourself — and enlist the support and goodwill of others. Winning At Life gives you easy to apply, practical strategies enabling you to accomplish both! Whether it's an impending marathon or million dollar corporate deal that causes self doubt and fear to impede your best performance, Pete Siegel's Building Super Confidence is the solution. For any person trying to break new ground, Pete's Hypnosis program will definitely empower you with the confidence it takes. This is no psychoanalytical tirade; it's a well-thought, objective approach to building inner strength and stability. Pete’s brutal honesty, while still being caring and understanding, has helped take my game to the next level. Through his methods, I’ve come to understand my strengths, and have built up my weaknesses. And in doing so, I have become notably more confident and self-assured -- both on and off the course. Working with Pete - and using Success Mind Sets and Bringing Forth The Zone - has decidedly helped me improve the quality of my golf game; Pete Siegel’s influence has helped me achieve one of my lifelong dreams...making the PGA Tour. Peter Siegel’s motivational book Winning At Life is an efficient tool that can help readers move away from their painful pasts, and guides them toward living a life of love, joy and fulfillment in the present. Excellence can only be achieved through the complete mental/physical application of self...without compromise. The Building Super Confidence and Living Invincibly Positive systems provide you a step by step progression for developing the key mental components to excellence – a power self image, and solid, unwavering confidence. In fact, Pete Siegel's methods have impressed me to a degree where I now use them personally, and have applied them within my coaching of players. Pete's books are genuine breakthroughs in mind-expanding material. They're eye-opening, inspiring, informative, and designed to do one thing -- Get Results! I love them and suggest you get all of them. After all, you want more out of life don't you? Invest in yourself and the returns will be multiplied ten-fold--or more! Yes, you'll now enjoy the exciting, total success impact benefits of my programs. And you’ll find it totally easy to decide which hypnosis programs you should order, so the change and improvement you’re looking for starts becoming your incredible fact of life. I can’t tell you how many people, in all walks of life, have achieved what they previously thought “impossible” through using my mega-results, breakthrough programs. And I fully guarantee…now you will too! Go For It, enjoy, richly prosper...and thrive! Peter C. Siegel, R.H ( Registered Hypnotherapist). P.S. Remember that each of my hypnosis programs are thorough results proven, and fully backed by a 100% money-back guarantee. For 30 years now, I’ve taught scores of pro athletes, business people, celebrities, and success / self improvement strivers (just like you) how to create solid, personal change magic in their lives. And now, through the life enhancing impact of each PowerMind program, I’ll do the very same for you! And as you now take a closer look at the exciting PowerMind titles, you’ll easily know which programs are exactly right for you to review and purchase! Yes -- so the solid personal gain, vital personal power, confidence fueled actions, and measurable success increase you want…starts becoming your personal, concrete fact! Free Personal Development Gift with each program you order! Listen To Sports Hypnotherapist Pete Siegel Podcasts! The "Full Power Living" Show Topic: "The Mental 'Secrets' To Having A Great Day!" 3.) Interviewed by Ilene Dillon M.S.W. Topic: The Faith That Makes Life Say YES! Let It Make You Stronger...And MORE Determined! Topic: What Would You Do If You Knew You Could Only Succeed! Topic: Honoring - And Empowering - Your Self! Start taking charge of life -- your life! Go ahead and order any of my self confidence, spots improvement mental game conditioning programs or success manuals including “Taking Fear Out Of Your Future” and “I Am Resolved!” Thousands worldwide have already found them to be a free first step to enjoying incredibly successful living – you will too! No B.S Super Mental Toughness For Basketball Players"
A prolific hypnotherapy, self-development, life transformational author, he's had over 250 articles published in 50 different magazines. He's written and produced 25 self help book / CD programs and mp3 downloads which provide people with incredible positive change/success strategies, enabling them to decisively break through past limitations, and live rich, successful lives – completely free of inhibition and fear. The Wall Street Journal, and USA Today. Demonstrations of his work with professional athletes, entire teams, and peak life performers has appeared on VH1, HBO Sports (Real Sports with Bryant Gumble), The Jenny Jones Show, Fox Sports Net (Best Damn Sports Show Period), The Golf Channel, KABC, KNBC, KCAL, KCBS, KTTV, KTLA, KCOP, KCRA, OCN, Prime Ticket, ESPN, CNN, NBC, CTV (national Canadian TV), and Fuji TV (national Japanese TV) network news programs. It does not matter if you play golf, bowling, basketball, baseball, football, gymnastics, hockey, body building, or any other sport. WITH HYPNOSIS IS THE KEY TO YOUR SUCCESS IN SPORTS. Just ask Michael Jordan or any hall of fame player in any sport and they will tell you that it is the "mental game" that separates the good players from the GREAT players. THIS IS SPORTS PEAK PERFORMANCE MENTAL GAME TRAINING AT ITS ABSOLUTE BEST. If you came here looking for a copy of Pete Siegel's Body Building Book / CD/ MP3 Sports Hypnosis Hypnotherapy Program " Think and Grow Big"
Its listed at the top of this page. WE even have self confidence programs for former athletes who want to reconnect with their former super high levels of self confidence. Hypnosis is BETTER THAN Steroids, HGH or any performance enhancing drugs. Plus hypnosis is LEGAL! The power of the subconscious mind is more powerful than drugs and always has been. GET YOUR SPORTS MENTAL GAME TRAINING PROGRAM NOW! who plays a competitive sport. and training programs that you need to compete at your full potential. Steppin Up To Mega-Muscle and Power! Dominance, Power, Drive, That Creates Champions and WINS Games. click the hockey photo above. WINS GAMES AND MAKES HOCKEY CHAMPIONS. training program for men and women. on hypnosis and hypnotherapy too. that will help you improve your bowling very quickly and bowl with focus, consistency and confidence. you can learn more about Sports Hypnotist Chris Cady who was trained by Pete. and perform at their best especially in a clutch. Need Self Confidence for your creative artistic activities? Much of the confidence building solutions that you will find in these programs come from the Hypnosis training that Pete and Chris did with athletes. pretty much everyone can benefit from some degree of improved self confidence and most people have some degree of fear of failure and performance anxiety which is stage fright even if the stage is just your own living room. In the case of a writer or artist their audience is invisible. Writers who have stage fright are being held back and stuck creatively are focused on self doubt and over thinking and fear of failure and rejection instead of just trusting in themselves and just moving their pen on the paper or fingers on the keyboard. If you think about it, lacking self confidence in these areas is not much different then an athlete who is physically capable of performing but has a mental block that causes them to choke, freeze up, develop some kind of a "yip" or problem that is basically mental. This program has helped many athletes and non athletes improve their self confidence so that they could write or perform outside of sports. and become more MENTALLY TOUGH! you are safe there too.